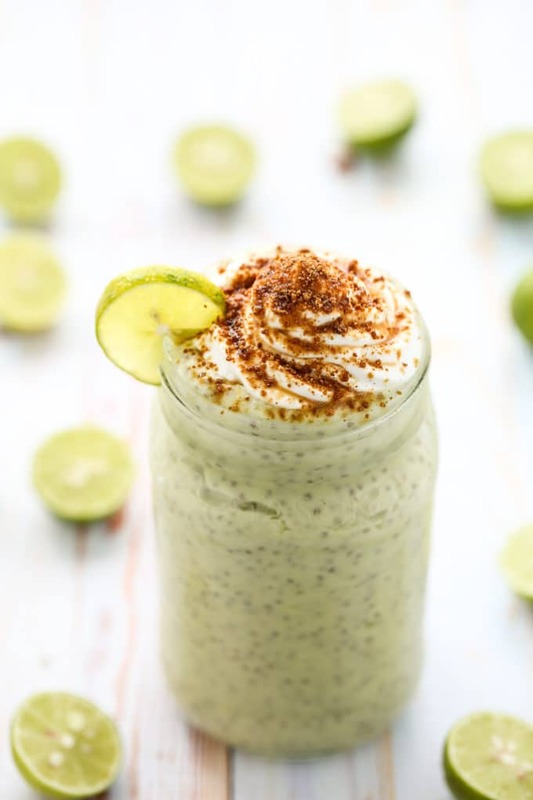 This vegan Key Lime Pie Chia Pudding is a recipe concept I’ve had on my to-make list for nearly a year. 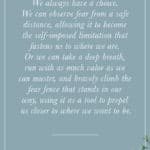 Then, once I finally tested it, I went back-and-forth and back-and-forth again on whether I should save it for the book or share it on the blog. I (clearly) ended up opting for the latter, because 1) that was my original intent and 2) it’s just too summery and cheery not to share right this very moment. 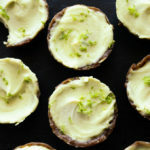 The base for this tangy key lime pie chia pudding is made with a similar combination of ingredients as these 6-ingredient mini raw key lime pies. The ratios are adjusted a bit and coconut milk (from a carton, not a can) is also added in to thin the mixture and lessen the richness, but the key players are all the same. 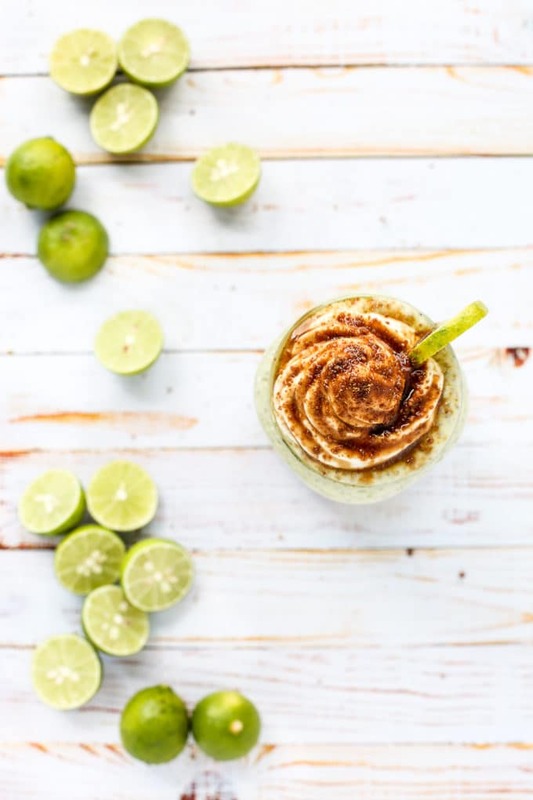 To make it, you’ll add unsweetened coconut milk (or another plant milk), 1/2 an avocado, fresh key lime juice, a generous drizzle of maple syrup ( or agave/a few medjool dates if you want to keep it truly raw), a bit of coconut butter, and a pinch of sea salt to a food processor. You’ll process everything until smooth, transfer the mixture to an airtight jar or container, and whisk in 1/4 cup of chia seeds. Then, the hard part: the 8 hour chill + thicken time. For sanity’s sake, I like to make chia pudding at night right before I head to bed so that I can drift off to sleep and awake to a pretty treat ready for the taking. Once the chia seeds have worked their magic, you’ll have a rich and delightfully creamy pudding that is packed with key lime flavor. I love it all on its own for breakfast or a snack, but for dessert I ramp up the decadence by adding a bit of coconut whipped cream, a sprinkle of coconut sugar (or crushed graham crackers), and a bit of lime zest. You could also add crushed dried mulberries or nuts for a chew/crunch factor. And if you want to get your culinary craft on, add some aquafaba meringue on top and torch it to toasted perfection. I had planned to give the aquafaba thing a try for the photos, but I completely forgot about it until this moment. If you give it a try, I’d love to know how it goes! Whatever toppings you decide to use, give this sweet and summery jar of goodness a whirl sooner rather than later. 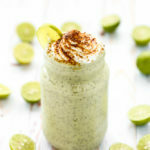 To this key lime pie chia pudding, you'll add unsweetened coconut milk (or another plant milk), 1/2 an avocado, fresh key lime juice, a generous drizzle of maple syrup ( or agave/a few medjool dates if you want to keep it truly raw), a bit of coconut butter, and a pinch of sea salt to a food processor. Process everything until smooth, transfer the mixture to an airtight jar or container, and whisk in 1/4 cup of chia seeds. Then, the hard part: the 8 hour chill + thicken time. For sanity's sake, I like to make chia pudding at night right before I head to bed so that I can drift off to sleep and awake to a pretty treat ready for the taking. In a high-speed blender or food processor, combine the coconut milk, avocado, key lime juice, maple syrup, coconut butter, and sea salt. Blend until completely smooth and pour into a medium-sized airtight container. Whisk in the chia seeds until they're evenly distributed throughout the liquid, and refrigerate for at least 8 hours or overnight. 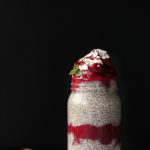 Once the chia pudding has chilled, vigorously whisk to redistribute the chia seeds. If the pudding seems too thin, add in more chia seeds, 1 tablespoon at a time, until desired texture is reached. 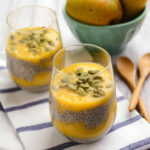 The pudding will continue to thicken as the newly-added chia seeds have time to expand, so keep this in mind if you opt to add more. Divide the pudding between small jars or glasses and top as desired. I recommend enjoying this treat within the first 48 hours of making it. The lime juice preserves the avocado for about 2 days (in my experience); however, longer than that and the color and flavor starts to shift. *You can substitute another unsweetened plant milk if you don't have coconut on hand. Almond milk works great. **Make your own coconut butter by adding 3 to 4 cups of shredded, unsweetened coconut to a food processor and processing for 10 to 12 minutes or until broken down into a smooth, creamy liquid. You'll want to stop the processor a few times to scrape down the sides to ensure that all of the coconut is blended. Pour into an airtight jar and store in refrigerator. 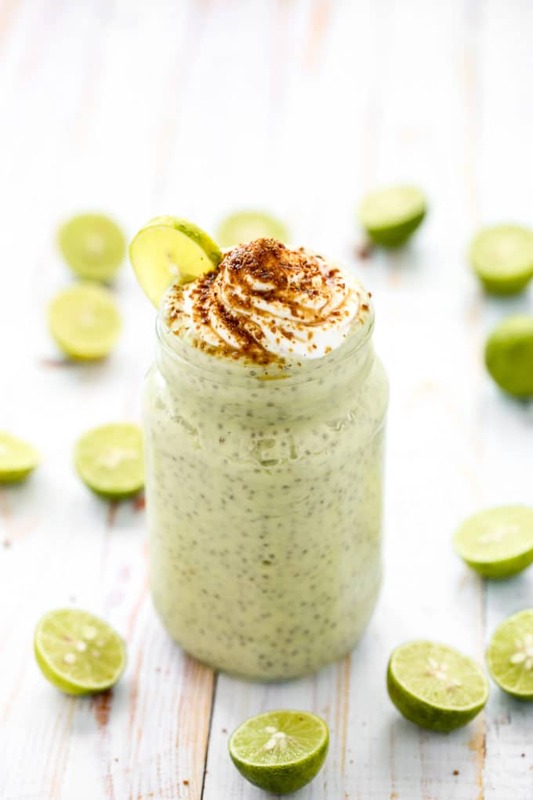 What a great idea to use avocado in chia pudding! 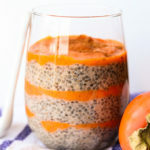 This is such a beautiful chia pudding, Ashley! 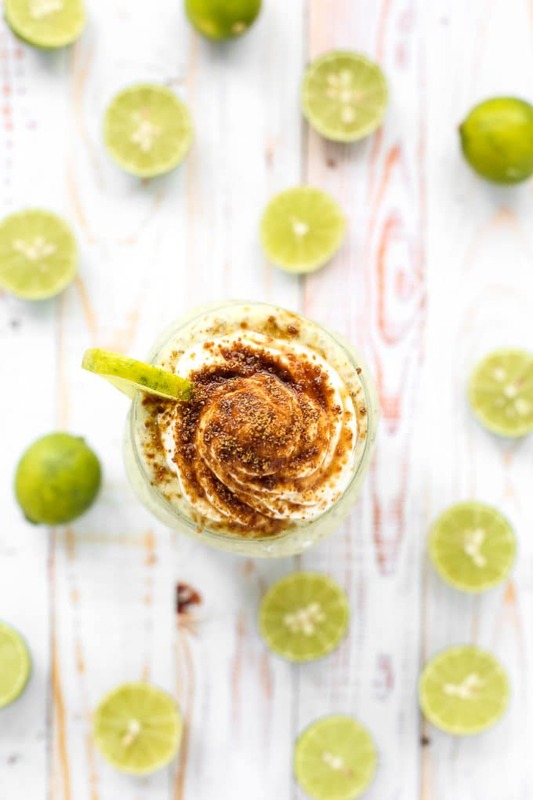 I love all of the flavors – key lime scream summertime! Hi Ashley! I’ve yet to try making a chia pudding. The texture reminds me of tapioca pudding, and it was a favorite growing up. 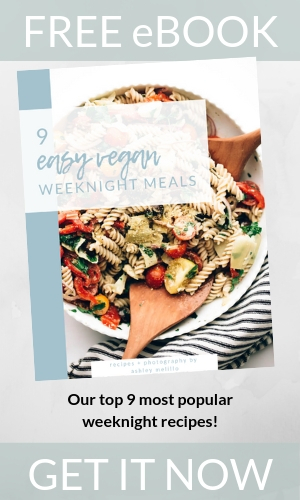 I’ve pinned this for the weekend, it looks delicious! 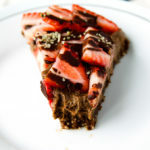 What a great and creative idea for making this wonderful dessert in a healthier and lighter version! this.looks.amazing!!!!!! i love key lime! i guess it could even be a type of cheesecake if one adds cashews and lets it firm! Would you be able to take out the 1/4 cup agave? I’m on the Whole 30 diet and you cannot have any added sugar. I’m just wondering if this would taste differently if you take out the agave? Without the maple syrup/agave, it would be quite tart and the other flavors would fall flat without the sweetness to brighten them. You could try blending in soaked pitted medjool dates as a replacement. Hope this helps! 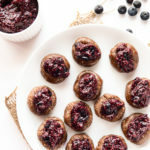 Awesome recipe that I have found. Thanks for sharing this. I would love to make it for my kids and I am sure that they will like it. I have an avocado allergy – can you suggest a substitute? Hi, Melissa! 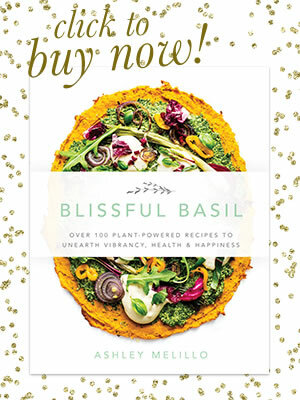 I’m so sorry, but I don’t know of a substitute for the avocado in this recipe offhand. 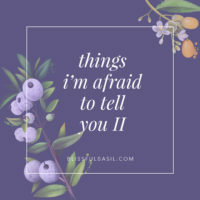 If I think of something, I’ll let you know! I just found this and it looks amazing! I have been meaning to get chia seeds, and now I have an excellent reason to do so. Just curious though, why do you suggest coconut milk specifically NOT from a can? Also, why should the medjool dates be soaked (especially as the whole thing will soak overnight)? Hi, Nora! Canned coconut milk is too thick and rich for this recipe—you want a more watered down version of it to get the right texture. 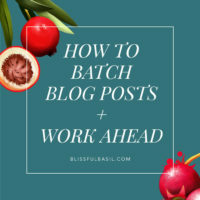 As for the dates, you want to soak them so that they blend and breakdown evenly. If your dates are super soft and gooey, you can potentially skip this step but most dates benefit from a little bit of soaking prior to blending. Hope this helps and enjoy!